This weekend,Final- make heads turn in admiration as you step out carrying this navy blue clutch from Dorothy Perkins. Made from PU (polyurethane),Final- this clutch highlights a snap closure detailed with a thin golden metal bar on the flap. It also features geometric shaped pattern on the front panel that makes it high on style. 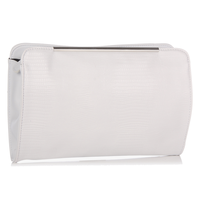 This clutch is spacious enough to hold all your cash and cards in a safe and organised manner. 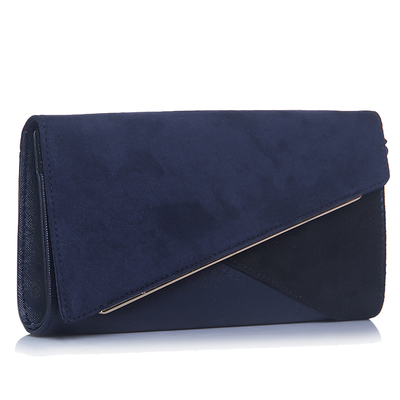 This weekend,Final- make heads turn in admiration as you step out carrying this navy blue clutch from Dorothy Perkins. Made from PU (polyurethane),Final- this clutch highlights a snap closure detailed with a thin golden metal bar on the flap. It also features geometric shaped pattern on the front panel that makes it high on style. This clutch is spacious enough to hold all your cash and cards in a safe and organised manner.